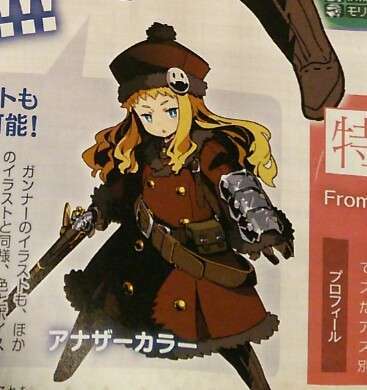 Update (2016-07-26): Image board 4chan has provided scans from the upcoming issue of Famitsu for the Gunner class’ new portrait in EOV, added to the bottom of this post. 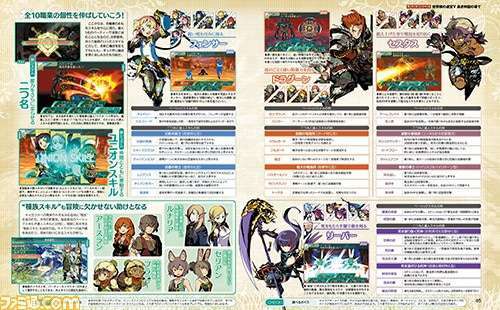 This week’s issue of Weekly Famitsu magazine #1443 has a new Etrian Odyssey V: The End of the Long Myth feature that summarizes the information of the upcoming dungeon crawler. 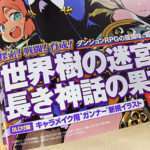 It will contain information from the demo version, as well. 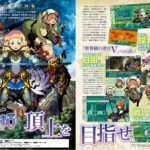 As announced previously, there will be an Etrian Odyssey V Famitsu launch feature on August 4th when the game is released. 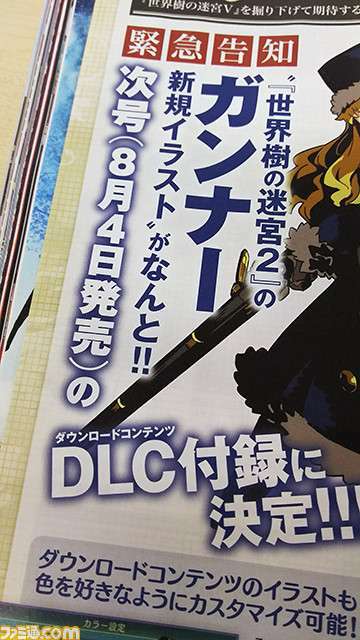 Following the previously announced DLC schedule with new character customization illustrations, the “Gunner” class of the series will also be appearing as a new illustration through downloadable content. 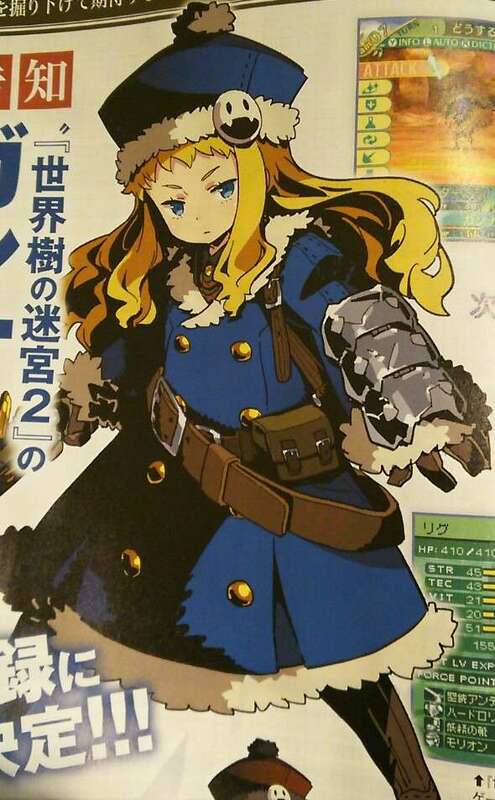 As of now, the portrait will be exclusive as a code in the launch edition feature of Etrian Odyssey V.
This new illustration from series artist Yuji Himukai is in the Famitsu issue releasing on July 28, 2016. 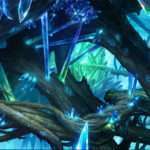 The subsequent issue will have in-game screenshots with the character appearance. 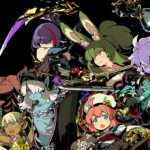 Finally, this week’s “special contribution” for the feature will be from Vanillaware designer Shigatake, who has worked on Dragon’s Crown and Odin Sphere Leifthrasir. The August 11, 2016 edition of Famitsu—or issue #1443—will be releasing in Japan on July 28, 2016. 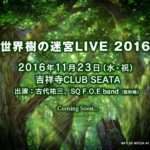 Etrian Odyssey V: The End of the Long Myth will be released for the Nintendo 3DS on August 4, 2016 in Japan.